The Nagura Stones from Naniwa are optional small stones that are used for preparing a slurry on water stones before sharpening. If you prefer to prepare a slurry on your water stone before sharpening, then using nagura stones can enhance the sharpening experience, helping you get the most out of your water stones. Naniwa Nagura work particularly well the the Naniwa Super Stones but they can be used with any water stones. Wet the Naniwa Nagura by spraying or briefly submerging it. These are splash-and-go, and a long soak is not required to prepare them. Your water stone should also be wet. Once both are wet, rub the surface of your water stone with the nagura. This will create a slurry of abrasive particles on the surface of the water stone to prepare it for enhanced sharpening. The Naniwa Nagura Stones are offered in ten different grits, from 220 to 12000. Naguras are particularly helpful for polishing, so a good approach is to choose a nagura that is the same grit or higher than your finest water stone. For instance, if your finest water stone is an 8000 grit, we would recommend an 8000, 10000 or 12000 nagura. The slurry created on your water stone will be a combination of the grits from the water stone and from the nagura. When pairing a nagura with a water stone, it is typical to choose a nagura that is the same or higher grit than your water stone. For instance, with a 1000 grit water stone, you would use a 1000 grit or finer nagura. While it is possible to use a nagura that is coarser than your water stone, doing so will introduce larger abrasive particles to the stone's surface, making the slurry coarser than what you would get from the stone itself. Using a nagura that is finer than your water stone will result in a slurry that has finer particles mixed in with the stone's abrasives, and can enhance the stone's polishing effect. You won't turn your 1000 grit stone into a 10,000, but you can use a high grit nagura to get as fine of a polish as possible from a given stone. 2-3/8" x 1-3/16" x 3/4" (60mm x 30mm x 20mm). Made in Japan. Q. What is the difference between a Nagura and a Dressing Stone. A. 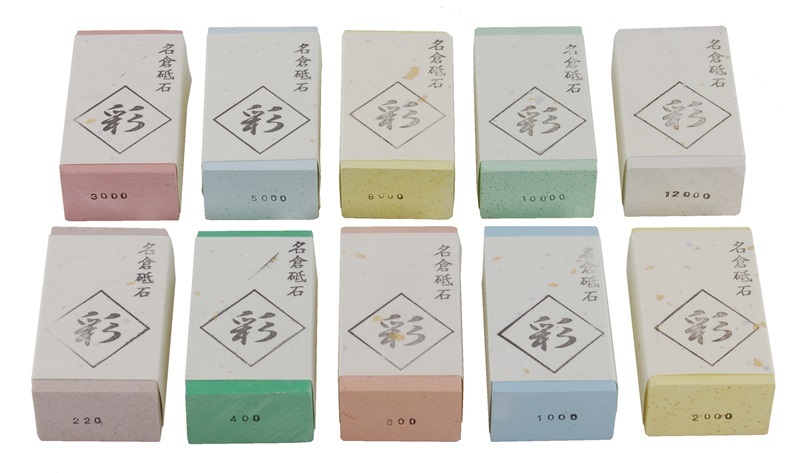 The name Nagura can be applied to any stone that is rubbed on another sharpening stone in order to prepare an abrasive slurry or to clean or smooth the surface of the sharpening stone. Nagura is often translated in English as Dressing Stone, and the two words are often used interchangeably. We attempt to avoid confusion by refering to any stones whose primary purpose is to create an abrasive slurry as Nagura, and any stones whose primary purpose is to clean and smooth as Nagura Dressing Stones. Q. How are these Nagura different from the Naniwa Nagura Dressing Stone, item #A-206? A. They are different in two ways. These Nagura are intended for preparing a slurry on a water stone before sharpening, while the Naniwa Nagura Dressing Stone is intended for cleaning the surface of a water stone after sharpening. Also, these Nagura are splash-and-go, while the Naniwa Nagura Dressing Stone requires soaking before use. Q. Can the Naniwa Nagura Stones be used on any water stone? A. Yes. Naniwa Nagura Stones can be used with any water stone. Q. Are Nagura Stones optional? A. Yes. Many sharpeners use waters tones without first creating a slurry using nagura, and have good results. 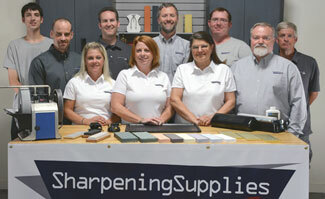 Nagura are simply another option in your sharpening tool kit.